Here at Union Square Design we are specialists in web design — and one platform we use to build e-commerce sites is Magento. People use our services for two primary reasons: to redesign their website, and to create an online store for them. As veterans of e-commerce, we understand this need. More people are shopping online than ever before. But what exactly is Magento, and how does it work? More importantly, how is it different from other content management systems? Let’s start with Magento. Magento is a content management system that is used to sell and manage products. Content management systems make it easier to update and add content to websites. Magento is specifically for e-commerce. E-commerce stands for electronic commerce– which is any transaction made over the Internet. People use Magento as their platform to easily build and manage their online store. Many people like using Magento because it is easy to learn and has a great shopping cart system. There are many different e-commerce content management systems. Magento can be used with WordPress to build the ultimate website. WordPress, like Magento, is easy to use and simple. WordPress can manage the website, and Magento works with it for the e-commerce portion of the site. This way, your website can have a great look to it and still be able to sell everything you want without having the system crash. Here at Union Square Design we’re always using Magento for our clients. One of those clients was the famous bake shop Crumbs. When the company came to us, they wanted three things for the company’s new website: a store locator, a drag and drop app to create a six pack of cupcakes, and to grow the customer’s email list. 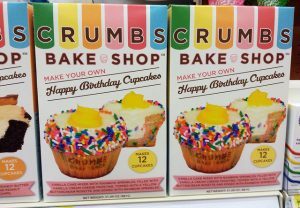 Using Magento, with all of its tools, we were able to successfully incorporate all three of these aspects to Crumbs’ new website. 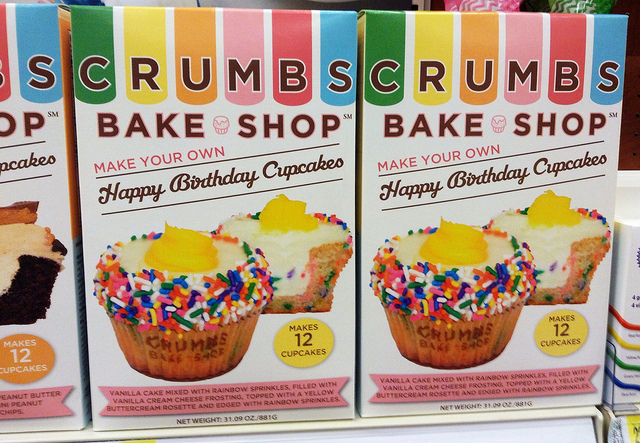 After Crumbs’ website redesign the company exploded in sales. This is all due to Magento’s versatility.